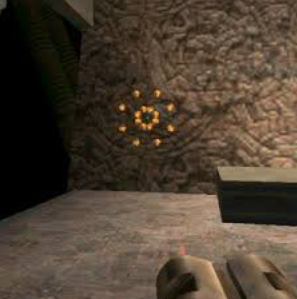 An example from Quake 3. I’ve been thinking about making certain multipellet weapons have a fixed spread. There’s a certain weird operation that currently happens with weapons that are 4-5+ pellets in that the hit detection can be very strangely reactive. I’ve definitely experienced, but also heard from others that namely on certain things like shotguns that they can just completely not hit targets at point blank and I’ve heard all sorts of things that can mitigate or make them much better than they should be, such as walking backwards, adjusting lerp values, these can have effects such as simply making the hit registration better as it currently sometimes seems to have problems hitting targets moving towards you to worse such as it getting all headshots in really bizarre circumstances. My experience seems to be that these issues exist. A recent addition to the gamemode arsenal, the fracture, has a fixed spread (it shoots in a line) and it doesn’t seem to be encountering these issues despite being a multishot weapon in my limited experience and what I’ve also heard. It does truly seem to be immune to them, making it more reliable. So I’m proposing changing the spread system on shotguns that have this issue to be fixed spread. That would be things like the Ender, Sweeper, Boomstick and the like. It would remove the heavy RNG element from shotguns and make them much more reliable, and should hopefully improve the hit detection to be better. I do not know if shotguns would need to be rebalanced in terms of spread, damage or resupply values or anything like that with this change. You should expect to hit most if not all of your shots at point blank, and now you’ll know to be sure to miss some at long range with a change like this. I’m probably, if I do do it, try out as a craft, skill or a trinket or something. See how it plays out first on a small scale and see how it feels to people. I fixed bullet weapons not having a correct inflictor (a bug that’s been introduced for 2 years) and this seems to have fixed multi shot registration.